Google has completely revamped Google AdWords – even changing the name their ad serving platform to Google Ads. While this updated platform promises to improve the ad serving experience, it comes with both pros and cons. Besides the obvious difference in layout, there are also plenty of new features that come with this updated platform. In the old platform, the first item that you saw was the Campaign overview, which would show all your campaigns as well as the latest stats. This allowed you to quickly review the campaigns before clicking on any of the tabs. Google Ads now starts you off with an account overview. This account overview provides you with information on how your campaigns are “trending”, including whether or not you have more activity than is normal and what keywords people are using to bring up your ad. One benefit of this is that you can quickly see whether or not your campaigns are performing and some recommendations from Google as to what could benefit you. Most of us are overwhelmed by too much data, so we don’t know what we should be digesting and what moves we should next be taking. With the account overview, users can determine what they should be focusing on and what steps they should take next – at least in terms of what Google recommends. 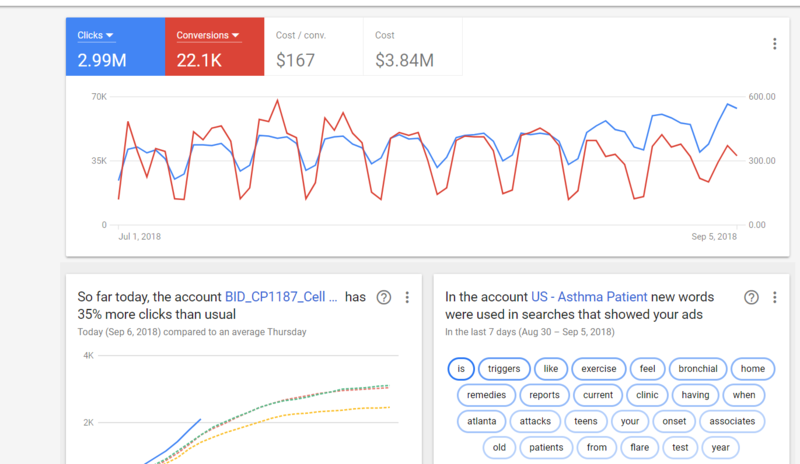 Google Ads allows you to more effectively create custom dashboards than the old AdWords dashboards. These dashboards provide you with a single place to look at consolidated performance statistics – across all campaigns and accounts. This helps you quickly review the data that is important to you, which again, reduces information overload issues. You can generate a custom dashboard by using “cards” or notes, charts, scorecards and charts. You’re limited to a maximum of 10 cards per custom report. You can create a custom Dashboard by going to Reports and then to Dashboards. 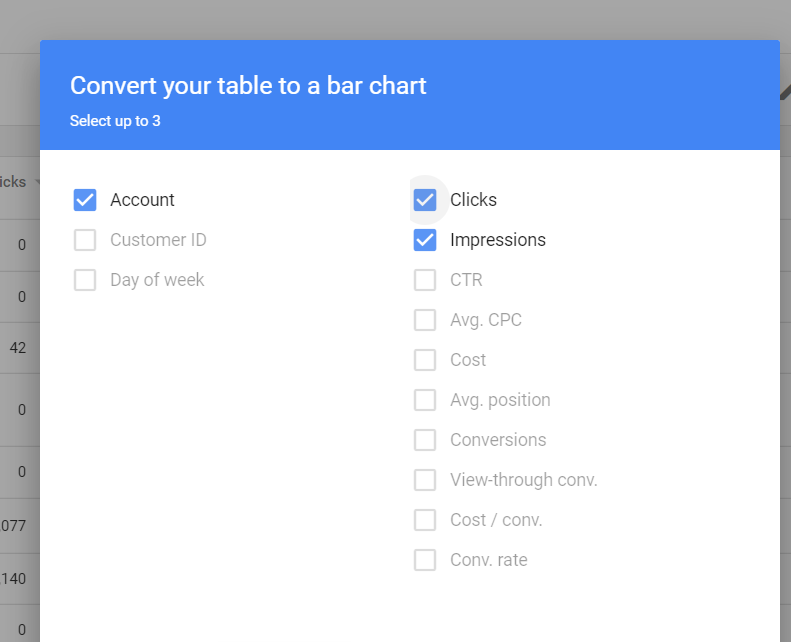 To see how to add scorecards, charts and tables to your dashboard, follow the steps in the Google Ads Help. AdWords had demographic targeting, but your targeting options were limited. You couldn’t combine different demographics. In the new Ads, however, you can use enhanced demographic targeting to create various demographic combinations. What’s good about this is that you are able to compare and contrast how disparate demographics work when up against each other. 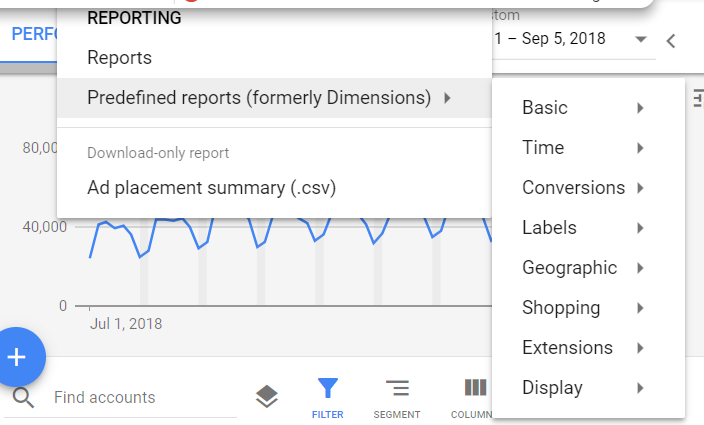 The new predefined reports are similar to the dimension’s tab in the old UI. Here, you could review overall trends, including aberrations from normal performance and opportunities. Google has taken this information and provided you with different ways to view it. For example, you can select between seeing the information in a table, bar chart, pie chart or scatter chart. 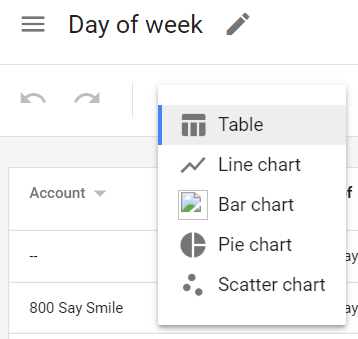 You’ll then get a chart that you can use for your different reports. They’ll be more meaningful to your stakeholders over a bunch of numbers. You can find the predefined reports in the Reports dropdown menu. Once you create a new predefined report, you can save it for future use. These reports still aren’t as comprehensive as the ones that you get in Google Sheets or data visualization tools. With Supermetrics you can pull data to spreadsheets, Data Studio and other platforms where you can dig deeper into your metrics and bring together all the data from all your different marketing platforms. This way, you can easily compare and contrast how each channel is doing in comparison to the rest. Analysis becomes that much easier and quicker. Further, you can produce complete ROI calculations for all your marketing efforts. You don’t have to copy and paste data from other CSV files to produce a comprehensive report. 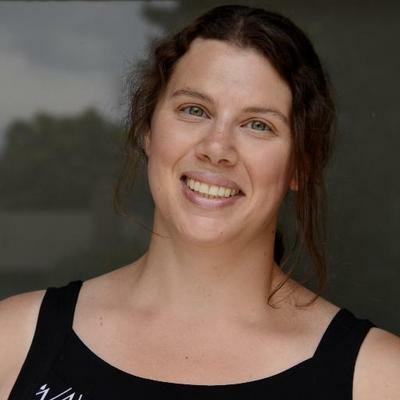 No need to worry about fat fingers or incorrectly typed data. Plus, it’s all automated: you can schedule data refresh and emailing. Google has promised that Google Ads will incorporate more machine learning to try and generate better results for its advertisers. It will provide new ad suggestions that will reduce the need for advertisers to create their own ads and that will drive better results. One way advertisers will be able to leverage this learning is with Smart Campaigns and Smart Ads. When setting up your campaigns, you will select the goals that are most important to you, and Google will provide you with a solution that will help you meet those goals. You will be able to automatically A/B test images, and Google will select the best performing ads, eliminating the need for you to constantly monitor your accounts. The major con of the new platform is that navigating it is not very intuitive. For those of us who have used Google AdWords for a long time, trying to find where everything is, is not as easy as it should be, especially if you have an MCC. If you had set up your overview page to view certain columns in the old Dashboard, those settings didn’t automatically transfer over to the new one. This means that if you quickly wanted to scan through, say, impression share, you have to add all of these back to your campaigns in each account. Plus, there is a learning curve with this one. For example, it’s harder to tell that you have a filter set in the new one. The blue kind of blends into background, which makes it difficult to remember to clear out the filter so you can do a new search or see all your campaign settings. Further, it just feels completely different and not like an update. The UI tends to not be as easy to move through as the older version, which means it takes time to find what you need – especially if you’re newer to using AdWords/Ads. And, if you’re used to finding certain items in specific spots, figuring out the UI will take some time. Google Ads can be very effective, especially with their new features and reports. That being said, the UI is intimidating and hard to navigate since it’s simply not as intuitive as many other platforms. But, once you figure it out, you can get better information and statistics quicker and more efficiently. Plus, the campaigns and reports can be better directed to your and your stakeholder’s goals. So, take the time to get really familiar with the new platform, and then make sure that you’re getting the data that you need. If not, adjust the reports to better match your needs or export the data with the help of tools such as Supermetrics, to analyze it externally in spreadsheets or Google Data Studio.